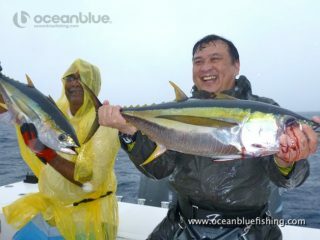 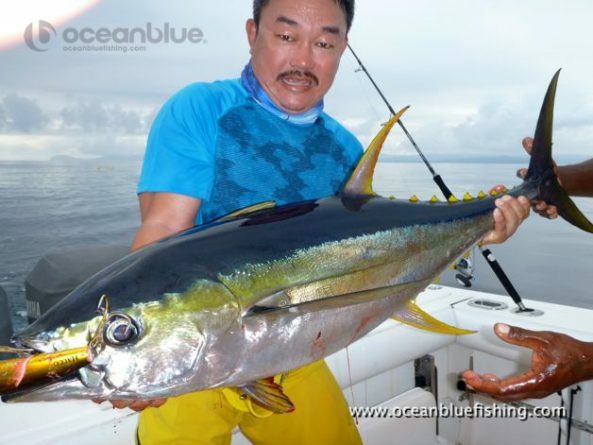 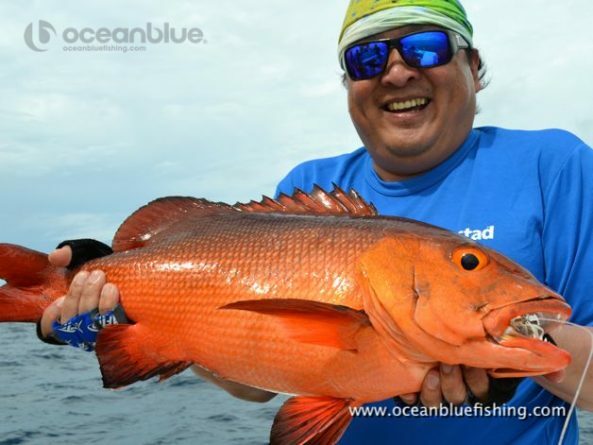 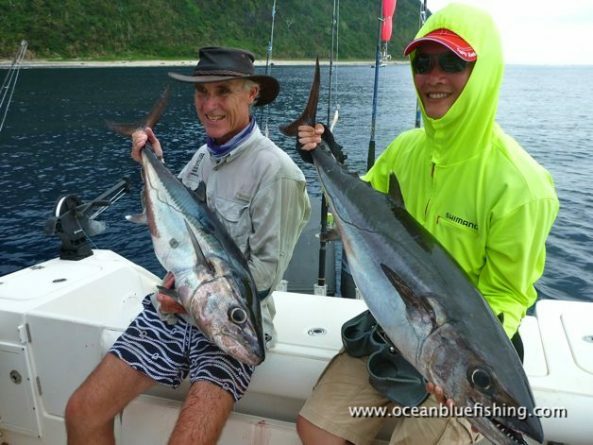 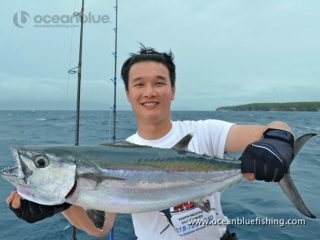 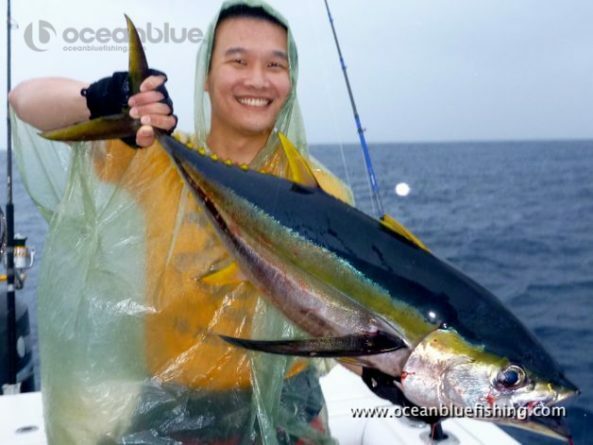 Ocean Blue regular Toby Browne & four of his Malaysian friends returned to Trees & Fishes for a ‘relaxing’ bit of jigging & all round sport fishing getaway! 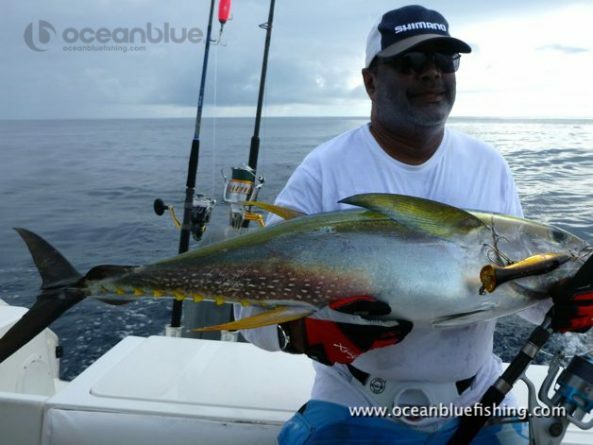 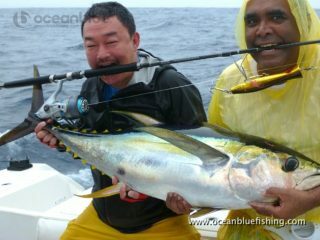 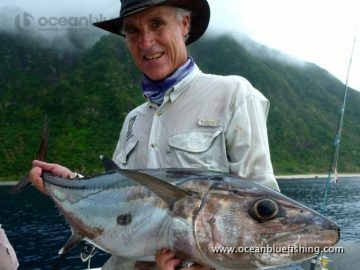 Adrian, Ramakrishnan, Jonathan and Ryan we’re keen on targeting yellowfin & dogtooth tuna Vanuatu style, so that’s exactly what they got! 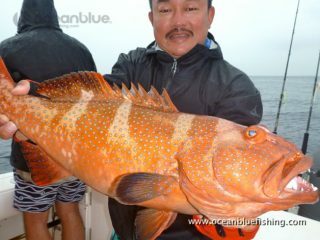 Jigging on top of rugged seamounts in 100 of meters of deep blue water meant some serious dogtooth connected to their jigs. The smaller fish battles are not so drawn out, but big doggies are missiles and have a tendency to find their freedom easily, leaving anglers and gear destroyed in their wake. 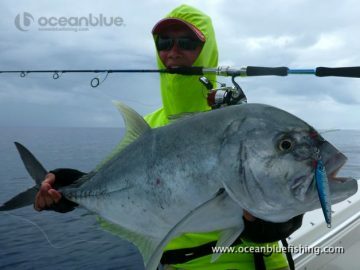 The toll increased when Ryan lost his whole outfit overboard due to such a brutal and unexpected strike from one of these larger beasts. Then, thanks to super-guide Eric’s quick response, who marked the spot, repositioned the boat perfectly and told the boys all to jig to see if they could somehow find that needle in a haystack lost somewhere in the deep below. 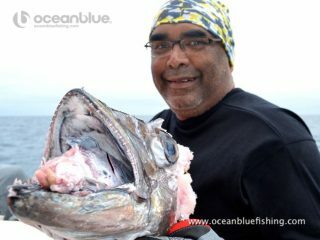 Remarkably it was Raman who was the saviour , jigging up Ryan’s lost gear!! Ryan is one lucky man and saved by Eric. Sterling effort by all the guys who were all smiles despite the rain, sharks, gear overboard and unstoppable fish – a big thank you for a memorable week with us at Trees and Fishes!